The recent years have seen a dramatic increase in the production, availability, and popularity of commercial drones. 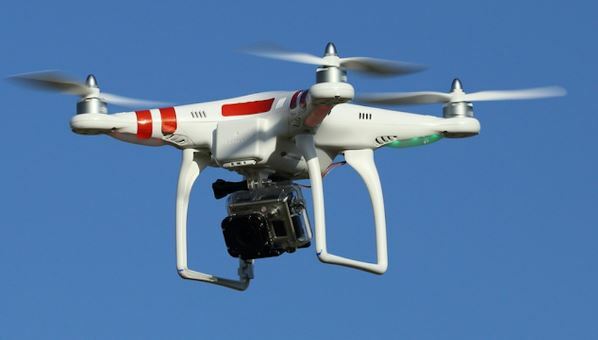 A drone, as they are popularly referred to, is an unmanned aerial vehicle or machine. Hobbyists of various ages have picked up on the novelty and eagerly getting their hands on a model that suits their needs. Even businesses have started to notice the trend; however, old FAA (Federal Aviation Administration) regulations restricted the use of drones for commercial purposes. The 3D Robotics Solo is also a quadcopter and an RTF unit that has a lot of functions yet simple to make use of. A point of distinction from older units is that instead of a built-in camera, this unit makes use of a GoPro Hero 4. This gives the added bonus of using the GoPro as a detachable component. The 3DR Solo is pleasantly modular and therefore, upgradable. There is a gimbal and accessory bay which enables third-party companies the chance to develop accessories for this drone. The 3DR comes with a smart controller that can accommodate an iPad mini—allowing for a larger screen you can use to plan your shots. This drone also has a ‘return to home’ button that brings it’s back to you should you lose sight of it; something that’s really handy given that you probably won’t be the only one flying a drone at the park. The unit by itself costs $900. If you want to amp it up with the 3DR gimbal and the GoPro, the price will bump up to $1900. The Q500 4K drone is a quadcopter (had four propellers) and is an RTF (ready-to-fly) unit. Despite being an older model of its brand, it shoots 4K video just like the more modern members of its family. The unit comes standard with two batteries and a hand mount feature that allows you to take the camera off the body and use it as a mini handheld stabilized camera. The price of this unit is around $750 USD on Amazon. One of its outstanding facets is that it has an Android device built into the controller. This takes away the need to bust out your smartphone or tablet. While the screen isn’t high in its resolution, the camera itself is able to take some stellar aerial photography shots. The camera can do 1080p 120 fps (frames per second) slow-motion and captures 12-megapixel still shots. The Parrot Bebop drone is, by far, one of the more technologically advanced drones in the market at the moment. This drone can be controlled with your iPhone or Android device. If you’re comfortable using your one gadget to pilot another, there is an optional SkyController which has some pretty nifty features like real joystick controls, HDMI output, and extended range among other things. The video system comes with a 14 megapixel camera with a super useful 180 degree fisheye lens. Other than being able to send a stabilized video or image straight to your phone, it also has the option to record your photos and video on the built-in 8GB of memory. The cost of the Bebop unit alone is at $500 USD. Should you wish to purchase the SkyController, the total price will be at $900 USD. Arguably, one of the easiest drones to fly with a pretty long flight time. Most drone enthusiasts often suggest that smaller drones are a must for first-time users. However, that suggestion changed when the Phantom 3 Professional broke into the market. This baby has a built-in flight simulator so any novice can certainly turn into a pro with a bit of practice. It also comes with an auto-hover mode that holds it perfectly in place. It has a live GPS feature—something that is really useful as it can now tell you where it is, where you are, and how long and far it’ll be able to keep flying. The price of this pretty sweet unit comes at $1000 at Amazon. Standing at the top of the heap is our 2nd placer’s more advanced brother. The DJI Phantom 4 comes in a sleek white unit that can fly pretty fast. It has an HD live video streaming that pretty much trumps the other drones out there. It also comes with a feature called obstacle avoidance so not only does it help you fly well, it looks out for itself. There are honestly a plethora of reasons why the Phantom 4 is number one. Here’s a few to whet your appetite: advanced 3D vision positioning for flight stability, quick release propellers, HD video streaming to your device with an over 4 mile range, free in-app flight simulator, intuitive mobile app, etc. The DJI Phantom 4 will cost you at $1400; not a bad price for the most advanced drone out in the market today.